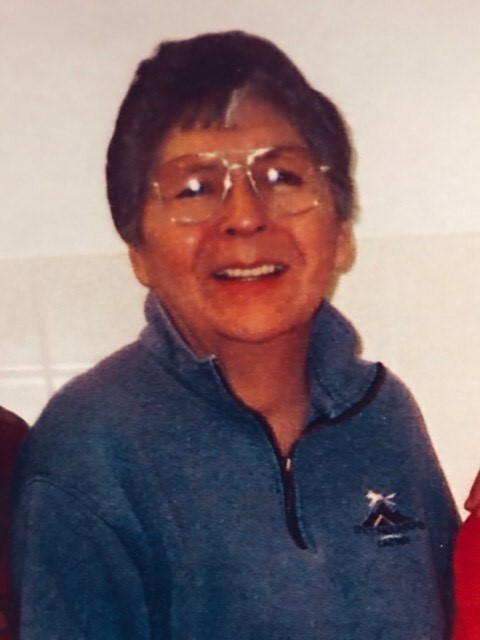 Neva Mary Running Wolf, 79, passed away on March 13th, 2019 at the Glacier Care Center in Cut Bank due to a lengthy illness. Cremation has taken place and a memorial service will be held in the Summer of 2019. Neva was born in Browning on October 10, 1939; and continued to reside there until she graduated high school in 1956. After high school she attended Haskell Indian Nations University and from there she went to work for the U.S. Government. She started out as a Secretary and soon worked her way up to be a Supervisor at the Social Security Administration (SSA) in Maryland. She dedicated a total of 36 years of her life to the U.S. Government, and then retired to Browning to be near family. Neva enjoyed reading, gambling, bowling, and spending time with her family. She is survived by her brother, Gene Running Wolf of Lawrence, Kansas; her sister, Darlene (Paul) Parker of Rocky Boy, MT; and numerous nieces, nephews, and friends. She is preceded in death by her parents, Myles and Myrtle (Smith) Running Wolf; brothers, Walter Running Wolf and Henry Running Wolf; and sisters, Margaret Buckland, Lillian “Squeeze” Running Wolf, and Audrey May Running Wolf. The family wishes to thank the staff at the Glacier Care Center for taking such good care of Neva in the last few months of her life, and a very special thanks to the CNA’s that took time out of their schedule to spend time with her.